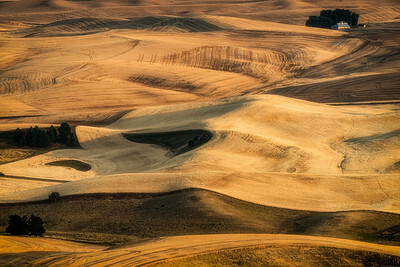 Palouse Fields, from Steptoe Butte, Steptoe Butte State Park, Washington, USA. 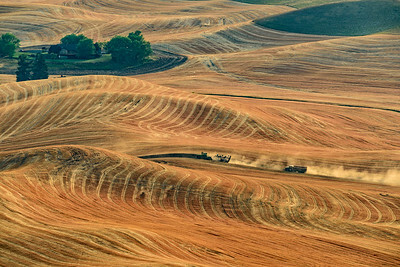 Palouse Fields at harvest time with combine as seen from Steptoe Butte, Steptoe Butte State Park, Washington, USA. 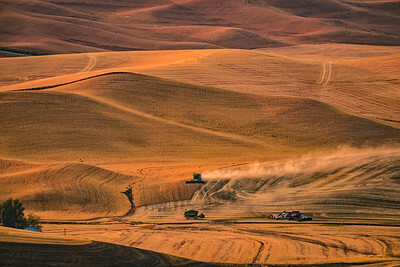 USA, Washington. 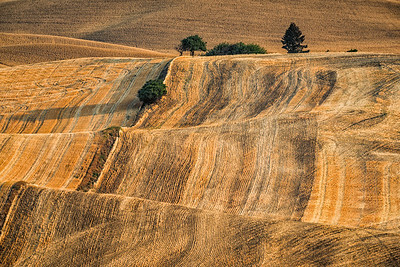 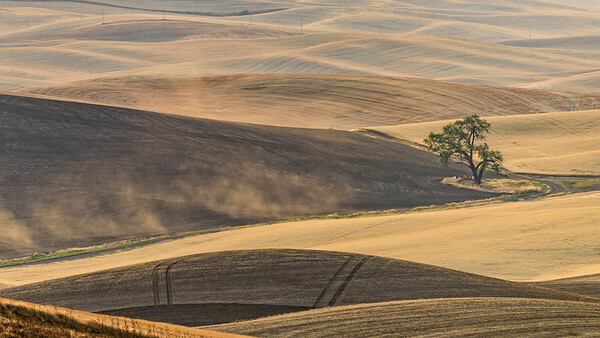 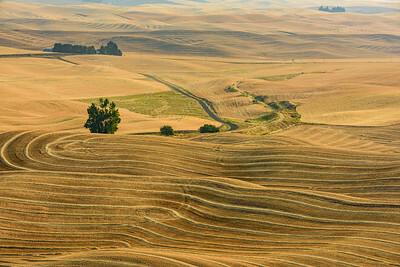 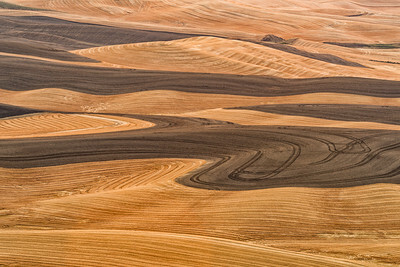 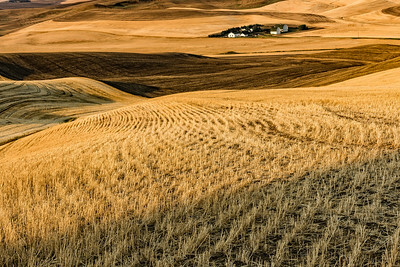 Patterns and colors of the Palouse region at harvest time. 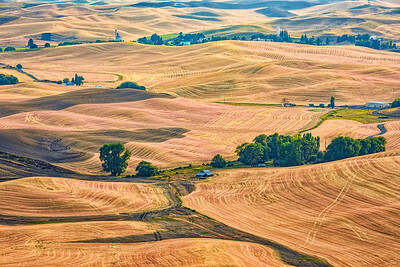 USA, Washington. 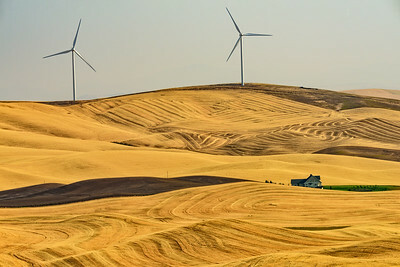 Patterns, colors,, and wind turbines of the Palouse region at harvest time.